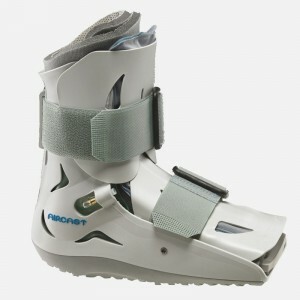 Healthcare & Rehab Specialties carries Aircast Boots products. Where ankle sprains are concerned, there is no young or old person involved. Ankle sprains can be very painful which is why there are so many manufacturers that have found ways to solve the solution of the pain and also treat them in the process. Due to how severe the sprain can be, you will need the best method to ensure that it heals faster so that you can go back to your daily duties and responsibilities. Of all the ankle sprains that occur, the inversion sprain is most popular because; it happens frequently. Most times the air splint is used, however; there are other methods used to treat this sprain in the ankle like the aircast boot. There are so many brands and colors not forgetting sizes that aircast boots come in. this means, as you search; you must be very careful with regards to the exact brands you are going in for. There are so many people that have had to live with permanent injuries because they decided to take for granted the pain they were feeling and exactly what they needed to do. There is no ankle strain that cannot be healed. This is why you should make sure even as little as the pain might be; you search for the right means to get rid of it. This is because; this small ankle sprain as little as it is can lead to severe effects to you. There is no aircast boot that will not deliver and help you out during your time of stress especially where ankle sprains. Before you buy these boots, it will be best to make sure you use the internet for your search. Make sure you search very well and search every single website that has models of them available. The truth however about doing is the fact that; when you search you need to make sure you are checking out for the credibility of the online retail website. Never pay money to a website you do not know or do not have an idea about. When you check and they have the best reviews, you can feel safe. However; if they do not, never try to buy from them even if their prices are cheap and look like quality. 629 - 1 Avenue, N.E. Sat: 10:00 a.m. to 3:00 p.m.
Disclaimer: All brand names used on this website are used without any claim to the trademark, copyright, special relationship and/or other rights of the owners of such names.